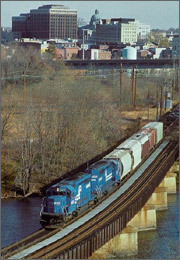 Norristown is the seat of Montgomery County and rests just northwest of Philadelphia on the Schuylkill River. Norristown has been around since 1812 but didn’t receive a Pennsylvania home rule charter until 1986. Toady, Norristown is home to many ethnic communities and outstanding attractions like the Elmwood Park Zoo and Selma Mansion. Norristown was originally a large manufacturing city but has since become host to some of the area’s most reputable lawyers and many Philadelphia lawyers as well. Lawyers in Norristown take a wide range of cases like automobile accident injury lawsuit, divorce, chapter 7 bankruptcy, immigration visa, and criminal cases like DUI and felony charges. Recently in Norristown, 24-year old Leroy McWilliams was sentenced to 12 years 6 months to 25 years of prison. McWilliams must also pay $900,000 in restitution to the families who were victims of his arson. He started his term at the Norristown State Hospital while completing his psychiatric treatment. McWilliams apologized and said he wanted to show the victims that he could change for the better. If you have a personal injury case to file in Norristown then you’ll be heading to the Montgomery County Court of Common Pleas. Common Pleas Courts are the highest level trial courts with which you may file in Pennsylvania and also take real property, tort, probate, administrative agency appeals, family, and criminal cases including felonies. Pennsylvania Common Pleas Courts also retain exclusive jurisdiction over juvenile cases. If you want to file bankruptcy, the U.S. District Court for the Eastern District of Pennsylvania in Philadelphia will be your destination. LegalMatch is America’s original client-lawyer matching service that is totally free of charge. Get paired with a selection of bar certified lawyers in your area who want your case, research in the Law Library, or post a question in our Legal Forums.